As we explained to people at the start of the event it was our “independence day”. The first hack day that we’ve run since becoming a community interest company. We hadn’t specified a theme for this event and instead relied on people finding interesting ideas in our ever growing data store to help spark some creativity. Population Pie provides a way to explore and compare census data about local areas. Thanks to everyone who turned up on the day. As always we had a great mix of regular attendees and a big influx of first timers. Many of the attendees had never been to a hack day before. This validates our desire to continue to run hack day events whilst continuing to explore ideas around some longer term community projects. The atmosphere was fantastic and there was real enthusiam to explore how open data can be made useful. Here are our photos of the day courtesy of Jon Poole. 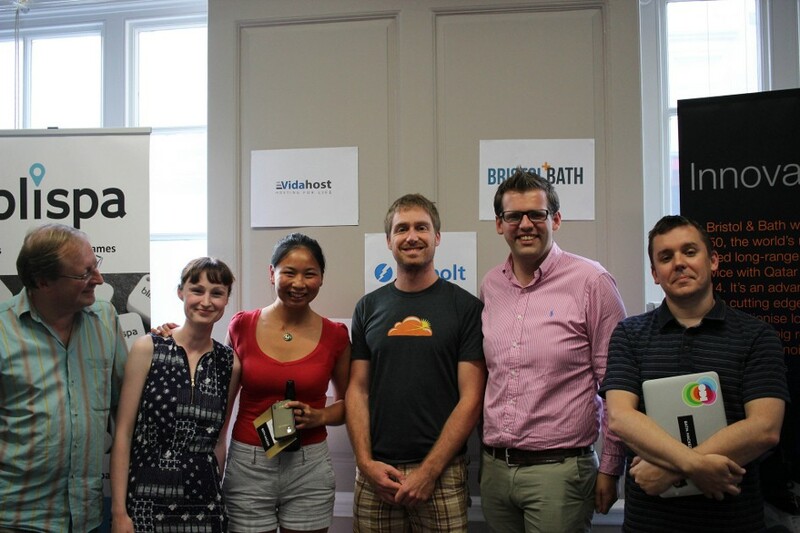 The Bath: Hacked team would like to thank local MP, Ben Howlett for giving up his time to join us on the day to help judge the results and present the prizes. We’d also like to thank all of the local organisations that sponsored us and helped make the day a reality: Vidahost, Storm, blubolt, blispa and Invest Bristol & Bath. Thanks, as always to The Guild for letting us use their amazing space.